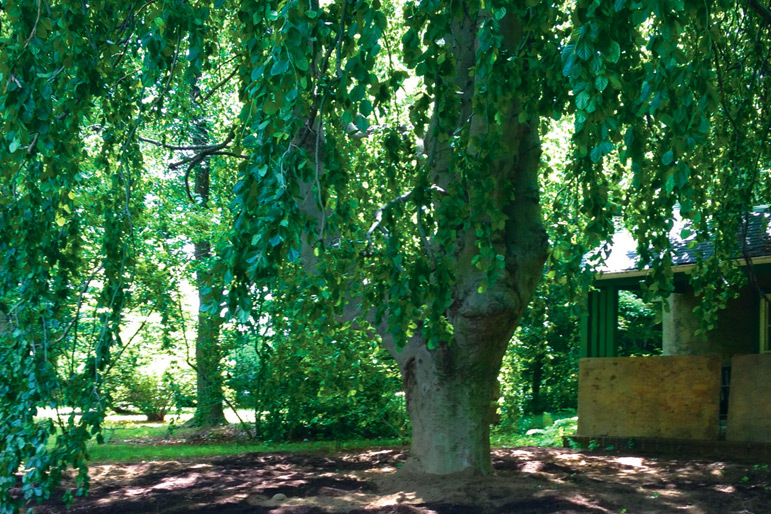 Case Study: Beautiful Weeping Beech Tree in Wynnewood | John B Ward Co.
We love to know the history of trees and why they are important to our clients. This year a client asked me to check a weeping beech tree at his Mom’s house in Wynnewood. He shared memories of climbing the tree as a youth and wanted to take measures to preserve the tree. Arriving at the house, I was excitedto find a truly beautiful weeping beech tree – the nicest tree in an area of great trees. But my inspection determined that there were some challenges to long-term health. The root zone is in a confined area, slightly compacted with no mulch. Leaves are removed from the root zone annually. No new organic matter has been introduced in many years and there are cankers on the trunk. Although the crown of the tree is in very good shape, the tree showed symptoms of stress. We designed a program to enrich the soil and improve the growing conditions. 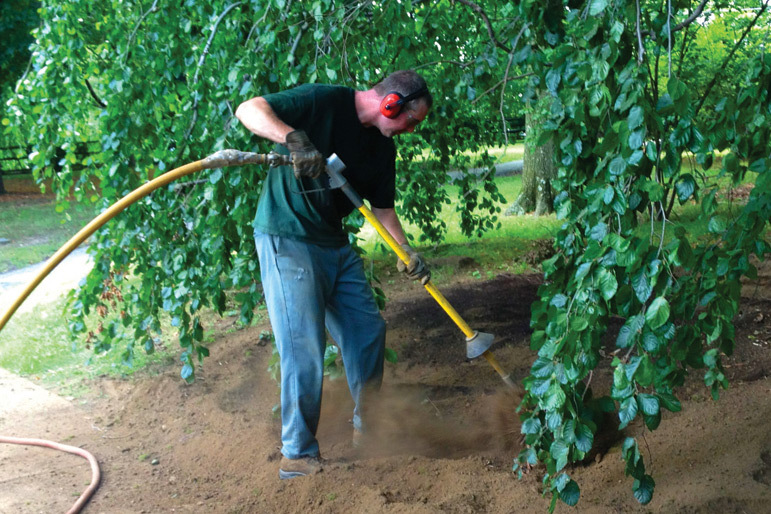 Using our air spade, we fluffed up the existing soil using high-velocity air to protect the roots. Then we added a compost mixture to the existing soil. We covered this mixture with aged wood chips and drenched it with an organic root stimulant. The result is a dramatic improvement in growing conditions for this valuable beech tree. I am looking forward to checking the tree in the spring!